I have nearly caught up with myself. This will not sit on the ground, you need to lay down 4 tiles of the Smooth Keeper fence. 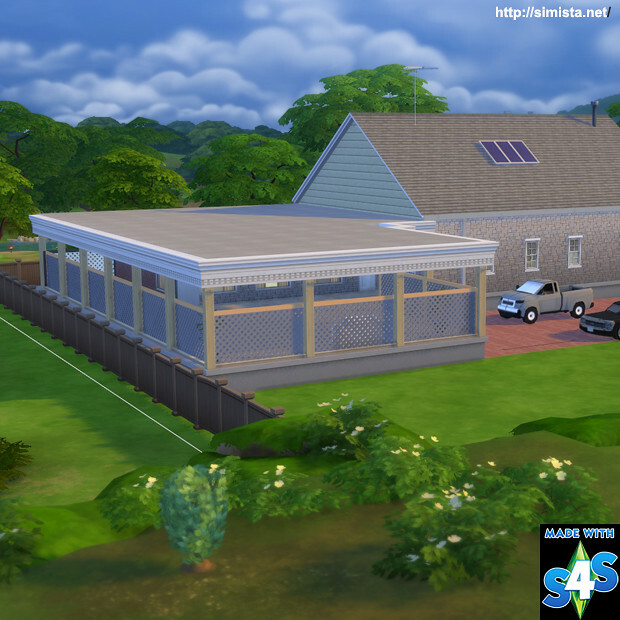 (its the third fence from the left) You can actually use any fence, but using the Smooth Keeper it will sort of snap onto it like in the pics. 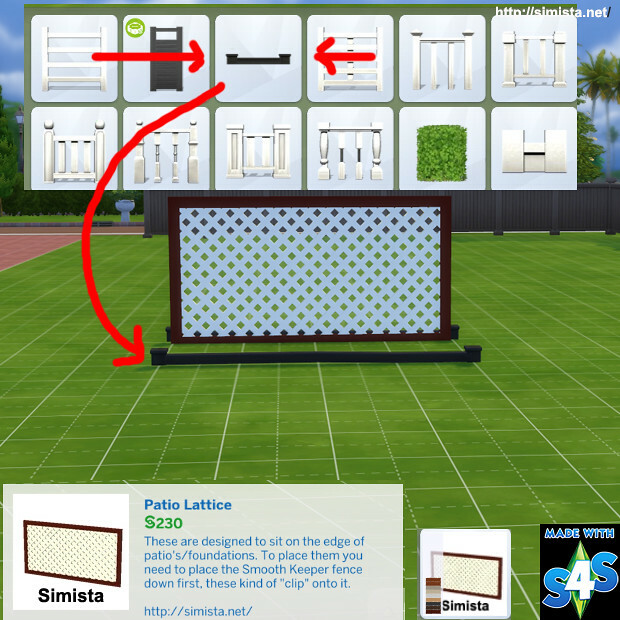 We cannot make or recolour fences so the lattice trim is made to the same colours of the fence. 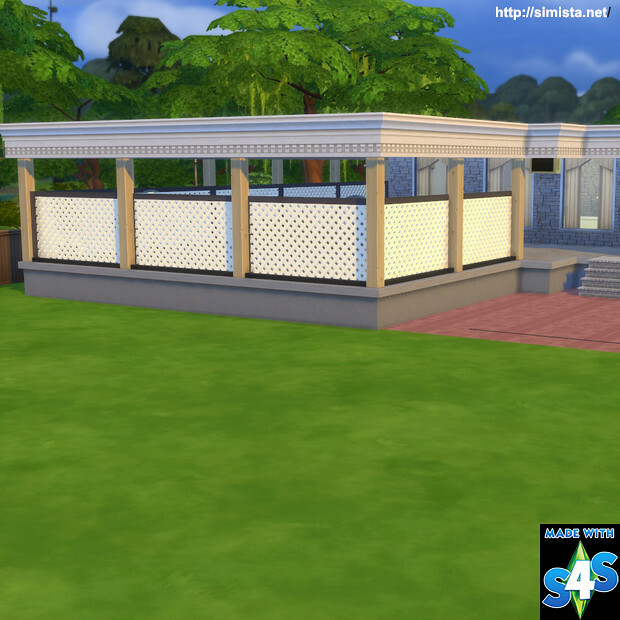 You do not need the columns as in the pics but it looks better I think. They are cloned off a shrub so that is where they are. 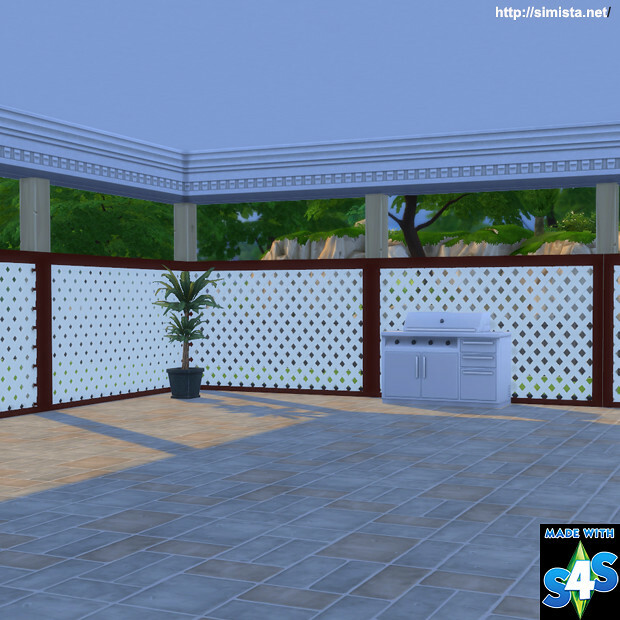 Build mode – Outdoor Plants – Shrubs. I left them there because technically it is a build item and sooner or later we will be able to make fences and Ill update these and move them there. Do you have any way of making the cut outs in the lattice a bit bigger?